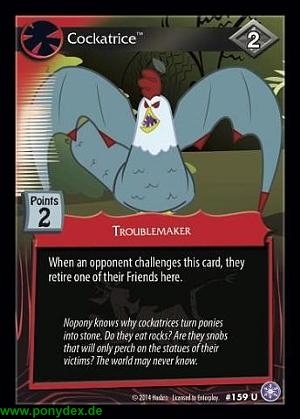 When an opponent challenges this card, they retire one of their Friends here. Nopony knows why cockatrices turn ponies into stone. Do they eat rocks? Are they snobs that will only perch on the statues of their victims? The world may never know.